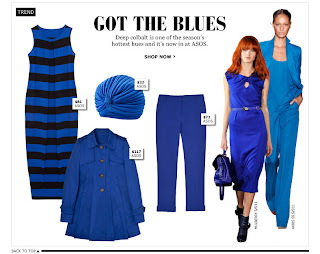 There is one thing for sure in Spring 2011: Cobalt Blue is the new black. I have seen it everywhere and I am a bit biased since it is my favorite color, but I just adore walking into a retail store and seeing it everywhere. Don't be afraid of this brilliant hue, it is a great solid paired with your regular wardrobe. A great trend to integrate in your wardrobe easily. For instance, Zara has entire collection in the front of the store pairing cobalt with black and beige and even stripes. Consider it a basic color to build and mix with. I do love this dress from Akira as well for only $49! 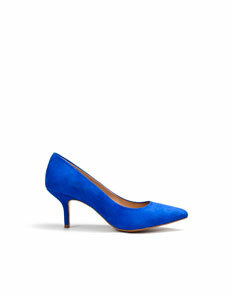 Accent your spring work wardrobe with these cobalt heels from Zara. Love the hue! Another great Shoe to capture this trend is this one found here again at Shop Akira for $164.